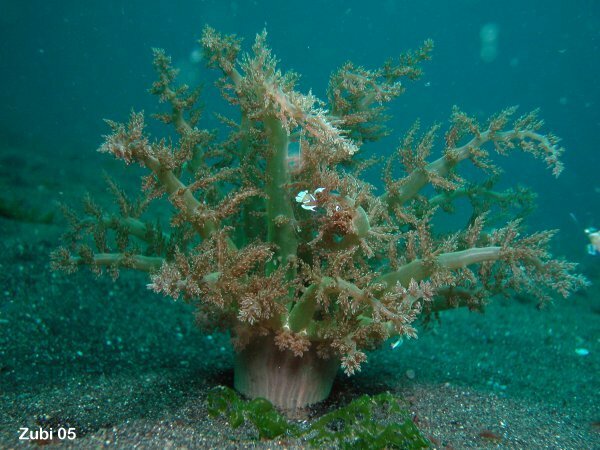 Meignorant.com posts a cool video of a “ninja seaweed” from the Red Sea, off the coast of Egypt. Its definitely ninja, but is it really seaweed? Share the post "Is it seaweed?" My guess is that it’s some crazy burrowing worm. Damn, though, that’s the biggest feeding structure I’ve seen on one so shallow! A couple of marine biologist colleagues here in my department (including a seaweed phylogeneticist) suggest it might be some kind of sea cucumber – the oral tentacles of one. My vote is for a holothurian (sea cucumber). Anyone send this to ChrisM at the Echinoblog? Just speculating, but maybe it is the chelonibranch of a buried arsegill sea turtle? Not sure I would touch it with my bare hands, appears to be a branching aneomones (Achinodendron sp). My first guess would be that it’s some kind of sea cucumber. The burrowing sea cucumbers at my work behave in the same way when disturbed. Another vote for sea cucumber/ holothurian – it appears to have five main “branches”, the oral feeding structures, which accords with the pentaradial body plan of sea cucumbers. Wow that was really amazing I have never seen anything like that, it looks like sea weed but it also reminds me of an anemone because they too do that whole curling up thing except that they don’t go and bury themselves in the sand.